Ruskins are highly qualified and experienced in moving trees, hedges, or shrubs of any size! Transplanting large trees, hedges or shrubs, is surprisingly simple, providing of course you have the appropriate expertise and a specialised tree moving machine. Fortunately we provide both. We undertake tree moving, on a repeat basis for the most high profile horticultural organisations in the UK. 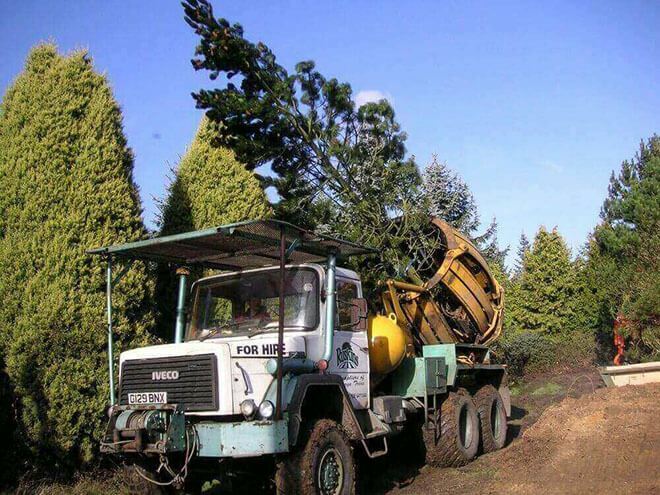 Any size of tree, hedge or shrub can be moved using a unique rootball, frame and crane technique. This method can also prove helpful where access might be problematic. Tree transplanting specimens up to 20cm trunk diameter using a tree spade is a cost effective and time saving way of enhancing landscapes. 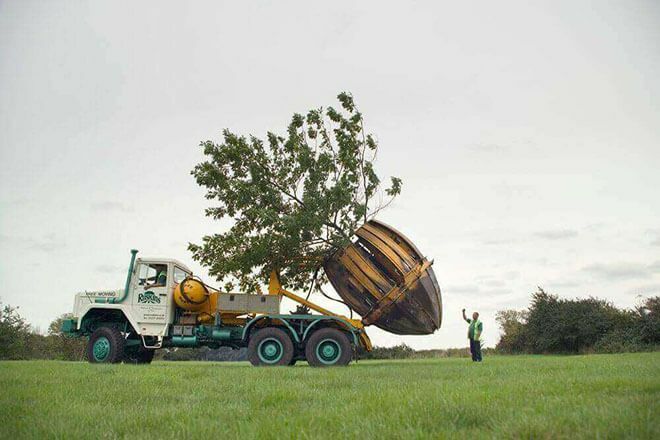 Ruskins are expert tree movers and are proud to offer a fleet of tree spades, which uniquely includes the UK's largest version. We work with many golf courses on an annual basis to cost effectively exploit their tree reserves, primarily to enhance their course, but also to keep balls out of neighbours properties and to create/replace hazards. Our record tree is a mature TPO'd Pine we moved with a 64 ton rootball was featured in the Sunday Times Home section on the 4th September. Our tree transplanting services assist very notable clients. In particular we have worked with, by most measures 3 of the 4 most important horticultural organisations in the UK. For all of these clients, we have worked with them for over 15 years. Transplanting trees in spring and summer is feasible, watering is of increased importance (often before and always commencing immediately after) and where possible we select slightly smaller trees / use a larger rootball. Please call us if you have a project to undertake in the near future.